If you remember, I did a lot of complaining last summer about how none of my veggies in the garden were surviving the squash bugs except the birdhouse gourds (which have a sort of stinky odor when they are growing, so it's no wonder the squash bugs ignored them). Well, my gourds have dried out and it was finally time to do something with them. I studied the shape and thought. And it seemed that it would be the perfect shape for a snowman. I used a mini Playdoh container to trace the birdhouse door, and carved it with a knife. Then I shook out the seeds. I took the gourd outside and applied several coats of white primer, waiting for each coat to dry in between. Then I used some small wooden pieces I found in my craft drawer and painted them to make buttons, eyes, and a carrot nose. I found some plaid fleece material and cut it into a scarf. I broke twigs off the pine tree outside for arms. My final step was to screw in an eye hook. I used hot glue to secure it for hanging. I thought it turned out adorably! 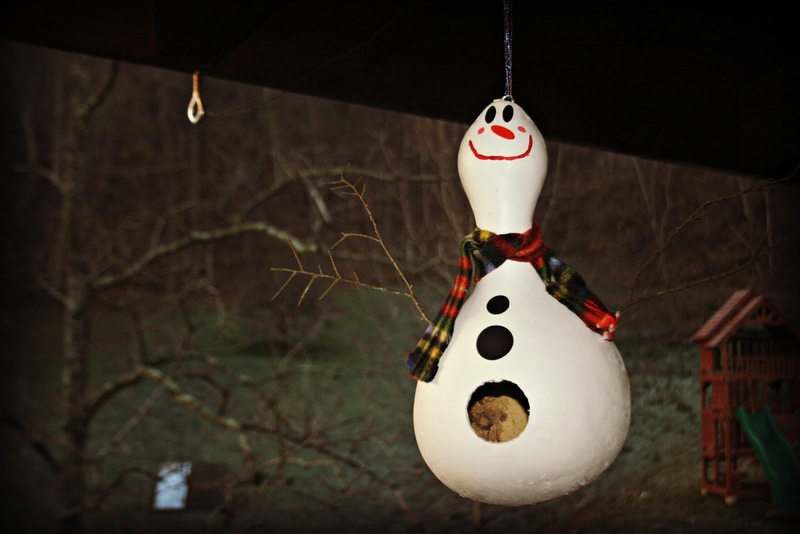 Maybe those birdhouse gourds aren't so useless after all. I am hoping to make a few more to use as gifts during the holiday season. I do need to figure out a varnish to protect the paint, since they will be outside in the elements. It's Rural Thursday! Time to link up with Nancy from A Rural Journal and myself with your stories and pictures of the rural life. Copy the code beneath the button and paste it into your blog post. Then come back and add your post to the linky below. Please make sure you visit the blogs of at least 5 other participants, and leave them a comment. Also, next week due to Thanksgiving, we will not be hosting a link up for Rural Thursday. So we'll see you again on November 29th! What about you, readers? Have you started any holiday themed crafts this year? That is adorable Lisa, very crafty! Spar varnish, what they use to varnish wooden boats, would work well on your gourds. Not only is the snowman adorable, but so creative. When I read that you thought he looked like I snowman - I didn't see it. I love the scarf! This is really adorable. I love the expression on its face! OH I LOVE LOVE LOVE it!!! Fantastic! Oh! What a cute birdhouse! I love the snowman's smile! Lisa, you are one crafty genius woman. I love what you did. That would look so cute hanging on my backyard tree. 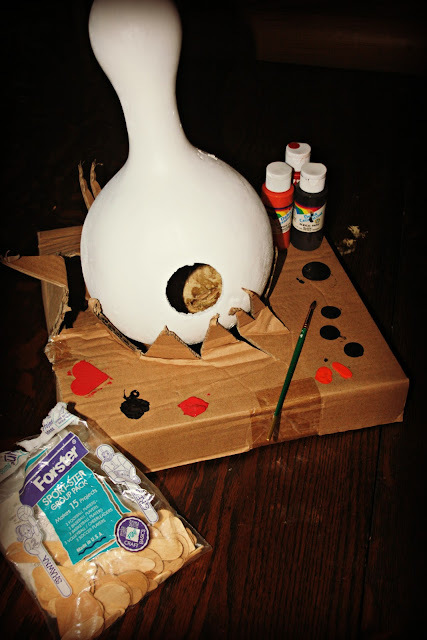 What a cute gourd project! We had a gourd I was hoping to dry out to make something like this but one of our dogs somehow managed to get it and eat half of it :( This week I shared a recipe for 3 Bean Venison Chili, one of our favorites! Thanks for hosting! that is really cute! way to go! What a crafty girl you are. That is so awesome... I might have to give it a try myself. Very cute! This is so adorable! I love his face! You are so talented, Lisa! And now you have me wanting to try to make something. Good idea ... good composition. Such a great idea! I love how it turned out. That is so, so cute! I love it, but you did make me nervous with that knife! This is too cute! Such a clever idea. I haven't started any holiday crafts yet. I have to wait til after Thanksgiving! Lisa, I LOVE this!!! It is adorable and awesome and completely doable!! Awesome, you really rocked it! Wonderful. I am a new follower. This is way cute. The face makes it so jolly. 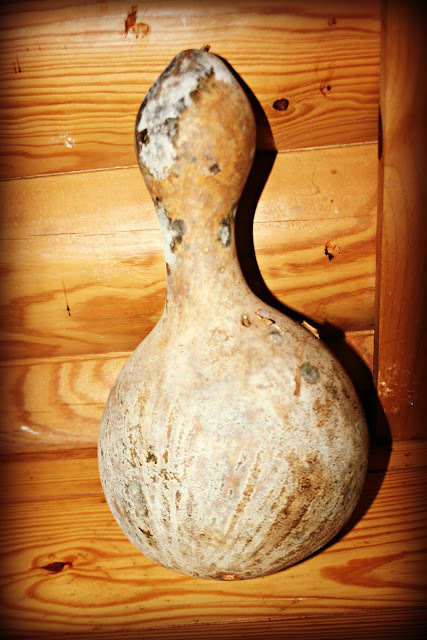 I need to grow some gourds next year. Your snowman is awesome. I would love to hang a few in our apple tree. That is really cute, Lisa! I haven't started any Christmas crafts or decorating...only thinking about it. Thanks for all the nice comments you leave. I am following you now. Well that's just cute as a bug! I had the idea of painting a cats face on one of those with the hole being the cats mouth, my sick humor I guess, but it would be kind of neat. I like this a lot! VERY cute! Oh, that is such a great use of a gourd! Very nice! 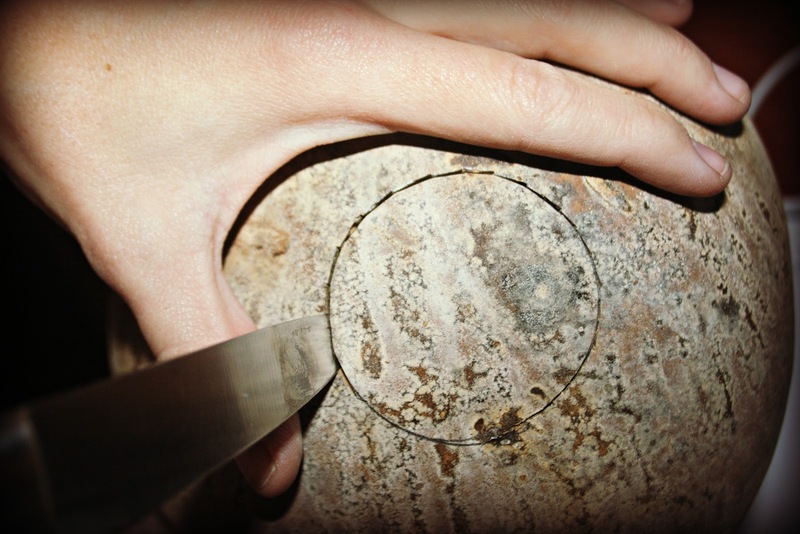 I especially like it because it is something the kids can help with, that is after cutting the hole. That is cute! I did not see that coming. That came out so cute! That is super cute Lisa! 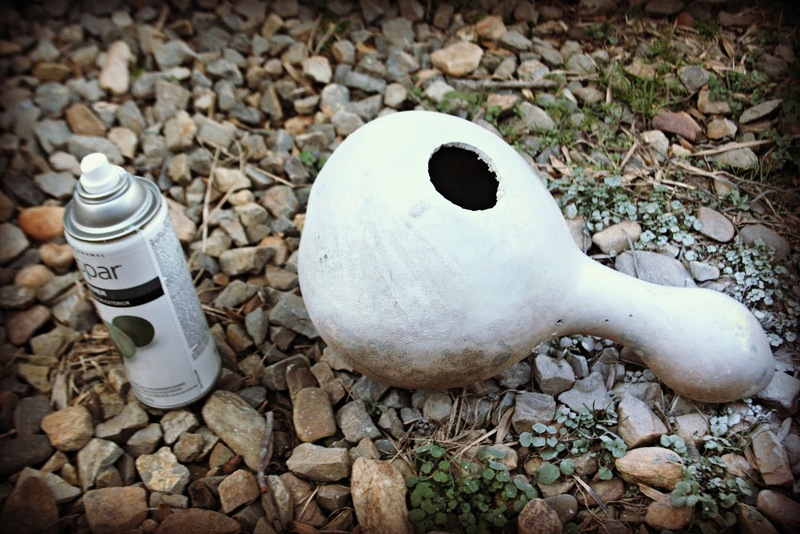 We have painted our gourds too. I just let the kids paint them any way they wanted. My mom painted her to look like people.